I did this last week with what I actually ate for the entire Wednesday. Today was my usual smoothie breakfast, leftovers for lunch and dinner, and the same snacks I eat most days. For this week’s What I Ate Wednesday I thought I’d share some of the food I’ve had over the last week that hasn’t made it to the blog (but you may have seen if you follow me on Instagram). Last Friday we met Carly's uncle for dinner in one of those massive FL retirement communities. 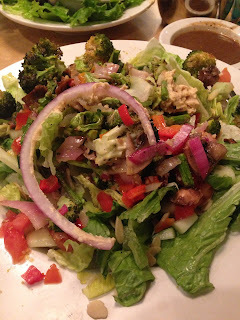 He wanted to go to a restaurant called TooJay's for dinner, and luckily they had this amazing roasted veggie salad that was vegan without removing anything! I also got hummus for an appetizer and used it as dressing for the salad. Salads are my favorite meal, hands down. 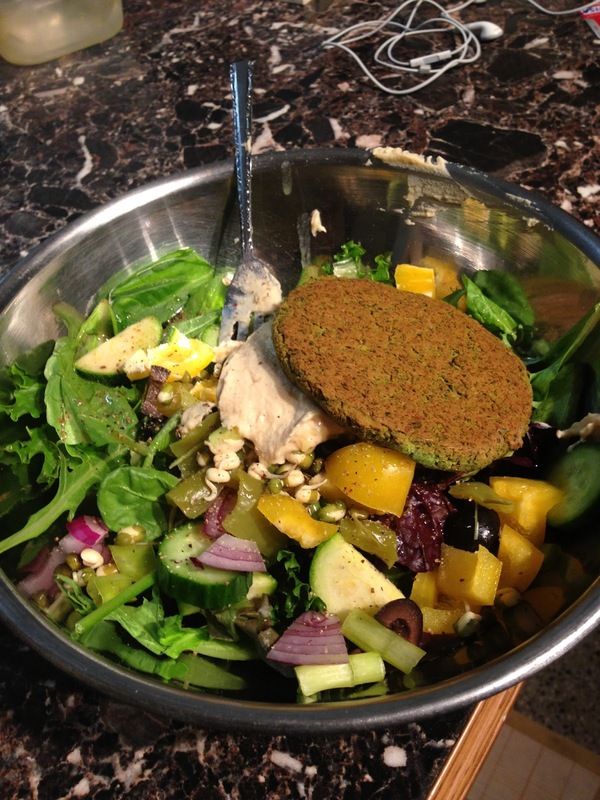 This one was topped with a homemade chickpea burger from Carrie On Vegan. 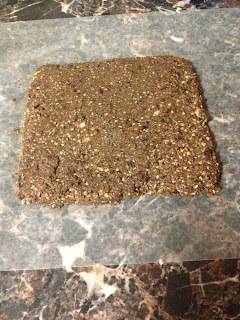 Every few weeks I made my own energy bars for post-workout, pre-breakfast smoothie. This is what they look like when I spread them out from the food processor, and this one was cut into 12 pieces. 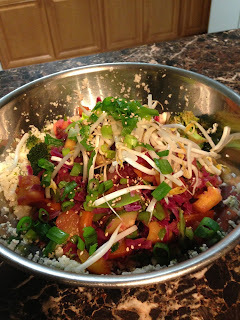 Look for the recipe on here soon! 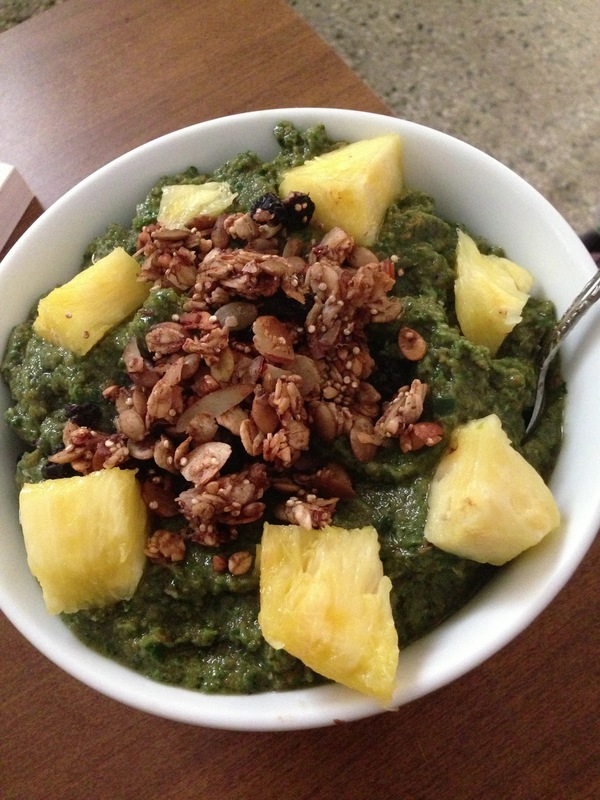 After a long run I treat myself with a smoothie bowl. I always make my smoothie with cherries as the base for this because of their anti-inflammatory properties. Then I top them with homemade granola and fresh fruit. 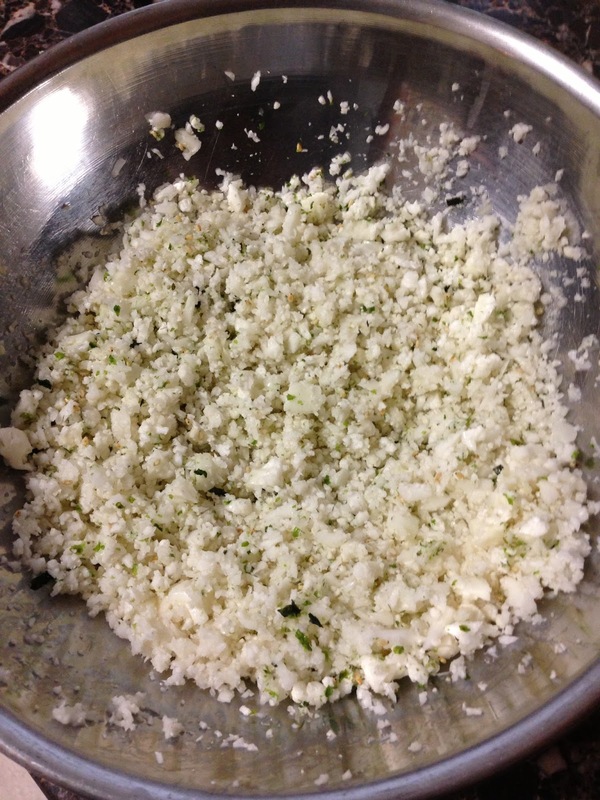 Cauliflower rice made by throwing cauliflower in the food processor. This was mixed with rice vinegar and rice seasoning (seaweed, sesame seeds and salt). Cauliflower rice from above topped with a pineapple stir fry. One of my favorite pictures I've ever taken of food! This is a bite from my lunch yesterday. 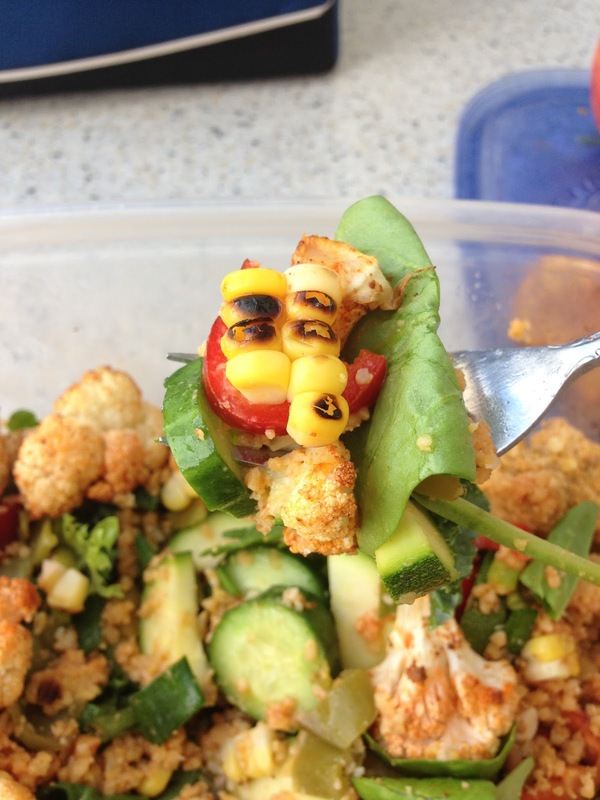 Salad topped with buffalo crumble, roasted cauliflower, corn, peppers and cucumbers.